As we prepare to bid farewell to one of the final pieces of the old Tappan Zee Bridge as it is demolished this week; it is well past time to begin thinking seriously about the future of the new bridge. And how we are going to be able to afford to cross it. “Tolls on the bridge are frozen through 2020.” That is the only information or plan anyone from the State level of government will tell you and it is simply unacceptable. We here in Rockland need to know how the new bridge will be paid for. We need to be able to plan for the future. Our commuters and businesses simply cannot afford the burden of even-higher tolls. 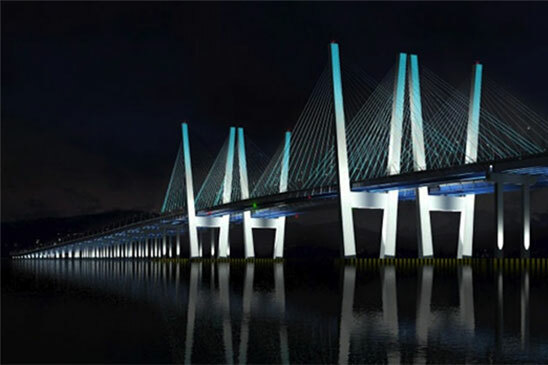 For years, Tappan Zee toll dollars have made up one-third of the revenue for the New York State Thruway, which reaches to the Canadian border, far from Rockland County. Now we have every right to expect the financial support of the rest of the Thruway Authority to help pay for and maintain the new bridge in our backyard. The cost of the new bridge should be spread across the whole thruway, as it is a key component of the entire road system. And let’s be clear the new bridge is NOT a City connector bridge, it is a bridge that connects Rockland to Westchester County just like the Bear Mountain Bridge. However, there are other ways the bridge could be paid for. Since 2014, New York State has collected more than $11 billion as a result of monetary settlements from financial institutions. Much of these funds have already gone toward closing holes in the state budget. More of these funds could be used towards footing the bill for the bridge, so the local economy isn’t crushed by an outrageous toll hike. Any increase in the crossing fees would hurt our residents, businesses and future economic growth in the region. We will not stand for it. Government must remember that its policies can affect consumer habits and the market. Putting obstacles like an expensive toll in the way of attracting people to Rockland County would have a wide-ranging negative economic impact. Would Westchester residents be willing to shell out $10 to shop at the Palisades Center mall? Or will they stay on the east side of the river, spending their dollars instead in Westchester at malls in White Plains or at Ridge Hill Shopping Center in Yonkers or even in Fairfield County, Connecticut? And what about our commuters who travel over the bridge because of a lack of mass transit options? Rockland already faces a $42 million value gap with the MTA. We must not be shortchanged again by having this toll raised beyond its current rate. It is time for a new beginning. Rockland residents deserve to have a bridge toll we can all afford.